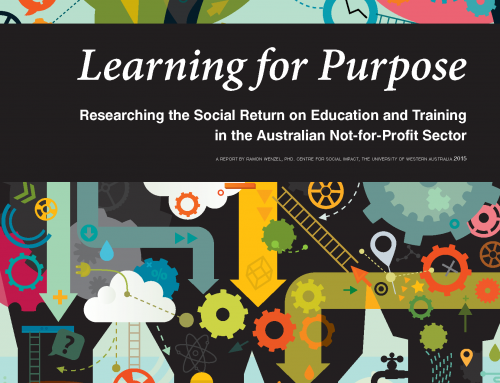 Last week we launched the Australian Not-for-Profit Workforce Study, designed as the largest and most important research study ever on and for NFP organisations, and all their employees and volunteers. > NFP Practice to enhance organisational leadership, capabilities and impact. > NFP Policy to increase sustainability and success of the sector. > NFP Funding to better invest in and convert capacity building activities. Are you a CEO, front line hero, HR manager, board director, funder, or in some way working or volunteering with a Not-for-Profit entity? Then this is for you: it is not a commercial survey, and it is not a mere scholarly exercise. 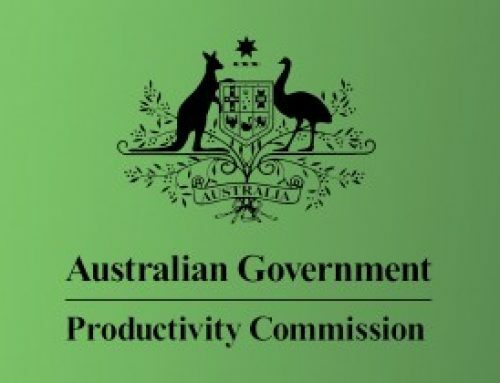 The Australian NFP Workforce Study is purpose-built applied research that connects real world challenges, through the science of organisations and work, and with state-of-the-art technology. I encourage you to learn more and participate by completing the online survey. The research addresses the most potent means to make NFP organisations and work more developmental, healthy, meaningful, and productive. It really is designed to support the NFP sector by revealing what makes it more successful and sustainable. This is the first of a series of articles I will publish to draw attention to Not-for-Profit people, work, and organisational management. Join the journey! Should you have only two minutes, watch the video summarising the rationale and goals of the research study. Not convinced? Want to know more? Don’t watch another video, read on ..
Everyone benefits from the work performed by Not-for-Profit organisations and their people. They address social disadvantage, education, well-being, community cohesion, sports, biodiversity, artistic creation, cultural heritage, and more. In Australia, there are an estimated 600,000 Not-for-Profit organisations and the Australian Charities and Not-for-profits Commission currently registers more than 53,000 as “charitable”, or simply having a direct public benefit. Many more, such as professional associations and sport clubs, fulfill crucial economic and societal roles. Not surprisingly then, the NFP Sector makes a substantial economic contribution by generating $50-60 billion toward the nation’s GDP. It employs more than 1 million people, who represent about 9% of the overall workforce; and engages over 5 million volunteers, who contribute upward of an additional $15 billion in unpaid work. In other words, the Australian NFP sector is extensive and operates across most aspects of our communities and lives. NFP entities provide services and support that are diverse and complicated, and in domains that business and public sector organisations are not able or willing to address. By supporting those in need and making a positive difference to the lives of everyday people and communities, NFP work shapes and sustains an attractive and functional society. It cannot be stated enough that NFP organisations and their employees and volunteers are key to an even better Australia. There is no doubt that NFP people matter. By and large the NFP sector is a service industry: people serving other people. Indeed, Australian NFP organisations spent more than half of their expenses on staff, meaning employees and volunteers are central to the mission and for the foreseeable future remain irreplaceable. 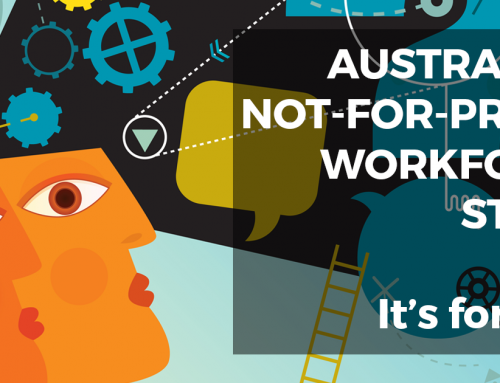 Evidence shows that people working for NFP organisations are dedicated and motivated. They work long hours and are paid less for their efforts when compared with the private and public sector. Even more people volunteer their time and energy. 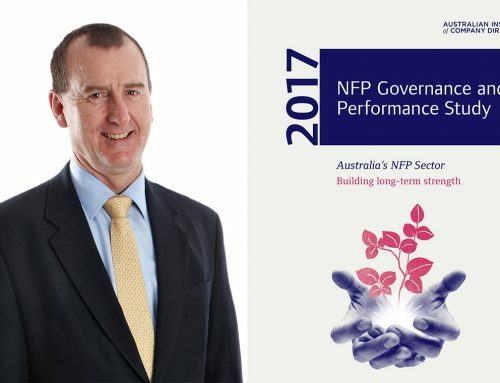 Meanwhile, the NFP sector is more accountable to deliver better quality services, whilst being forced into heightened regulatory compliance and policy uncertainty, develop complex strategies, compete for limited resources … everyone I talk to in the past years is under increasing pressure to deliver more, innovate, adapt and compete. The challenge is not to make people work harder, but to be really smart about the leadership and management of NFP organisations, work, and talent. Investing – time, money, and attention – in the sector’s people so they excel at their work is arguably the single biggest opportunity for realising greater impact. Surprisingly then, there is very little, if any, factual knowledge that could inform NFP leaders, directors, funders, policy makers, training providers, among other, about what to do next, where to allocate resources, and how to achieve the greatest leverage. Systematic research is the only reliable way of building knowledge that advances society: to understand what works, under which conditions, and why. There is also intuitive knowing, wisdom, experiences; they are necessary, yet can only inform the rigorous testing and factual observation that make up the scientific method. Scientific evidence enables humankind to live ever longer, grow more food, fly into space, and binge watch the latest movies on your mobile in the bush (if that’s your thing). It can also be used to support NFP people, performance, and purpose. The Australian Not-for-Profit Workforce Study stands on the shoulders of giants: we integrate decades of scholarly research on the leadership and management of organisations, work, and people. Scientific rigour implies to select the most robust measures, to science the **** outta the data, and to be open to the findings. The design of the largest study for the NFP sector is also the result of extensive dialogues with NFP stakeholders: we literally spent years listening to CEOs, HR managers, directors, funders, and foremost the ‘normal’ (read: most important) frontline employees and volunteers. A process we started 2012 in our first wave of research. We are thus incredibly proud to introduce what has never been done before. Beneficial: free sharing of findings & free Workforce Analytics for you! Thank you for your attention! Now let’s give attention to the NFP people.